During the holiday season we usually enjoy rich meals and wonderful desserts. Diets go by the wayside as we often eat and drink too much. The good news is that 3 of the spices normally used during the holidays, are 3 of the top healing holiday spices. Several aid digestion and another counteracts some of the negative effects of certain desserts. In this article, Kami discusses these 3 wonderful spices, how they’re used in cooking, and the medicinal value of each spice. 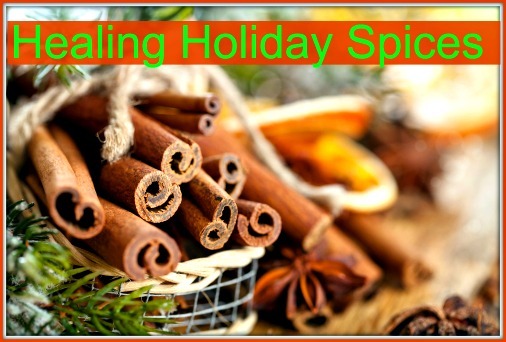 Click on the Top 3 Healing Holiday Spices link below to read the entire article.